I have just upgraded WordPress and add Stats. It has lots of nice new features. So there may be a delay while we undertake some further develoment! Let me know if you see any changes or problems. Gabi has come to stay for a few days and has dragged me away from the canal to see the lovely Oxfordshire countryside. 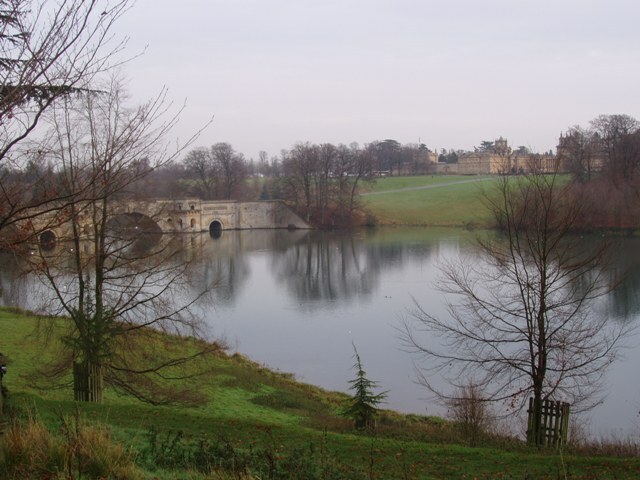 We looked at the weather forecast (met office) – cloud with sunny intervals, oh good we thought, a walk in the park, lovely. And then we decided we had better set off in good time to get back by 3, before it gets dark. OK it was a bit foggy when we set off, but we were sure it would lift later, and the countryside views would be wonderful. 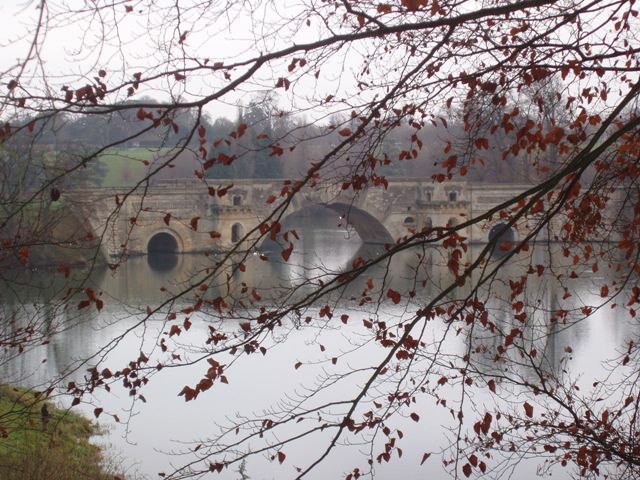 At 2.30 pm today in Blenheim Park, this was the view. 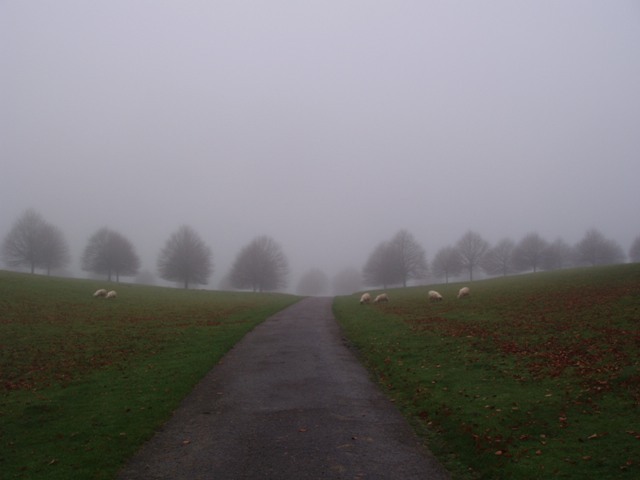 “Wonder when the fog will clear….we will be back at the car in half an hour? At 3pm we finally got a lovely view of the bridge. And a great day was had by all ! We had a wonderful day on Friday, when our boat friend Jeff (of Huddersfield canal fame) married his new love Sandra. We joined them for the evening bash and listened, open mouthed, to the tales of the days events. First, earlier in the week when they went to collect their M&S specially ordered 4 tiered wedding cake, only to find that half the cake was not there. The top two tiers had gone missing! M&S apologised, found the missing tiers and gave a total refund. On the day itself, Sandra got a call at the house a couple of minutes before she was due to leave for the registra’s office, saying that the stretch limo had broken down. The flowers hadn’t arrived either, so what to do? The available vehicle was a jeep, so she gathered her long white dress and climbed in! Got there just in time, and as she was climbing out of the jeep, who should appear but an apologetic florist. They had been stopped for speeding by the police and been delayed. As Sandra and Jeff said – you couldn’t write it ! Their sense of humour carried them through, and having coped with all of that, you can see that they are made for each other and will have a wonderful time together. Congratulations Mr and Mrs Hall. A happy walk in the sun on the river Trent July this summer. Only 3 months ago…its a good job we didn’t know what was waiting for us. They had a great summer, and so did we. Thank you. Our wonderful vet John Taylor came out, yet again, this morning on a final mission of mercy for poor old Jet. Our dog was struggling to get his breath and Paul had been up all night with him, supporting his head because he wouldn’t lie down. The fluid on Jet’s tummy was putting a lot of pressure on his lungs and he just couldn’t breathe when lying down. We comfort ourselves with the hope that his last 4 months over the summer were wonderful for him. 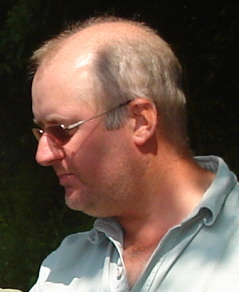 He enriched our memories of the cruise to yorkshire through his exuberent enjoyment of new walks and experiences. 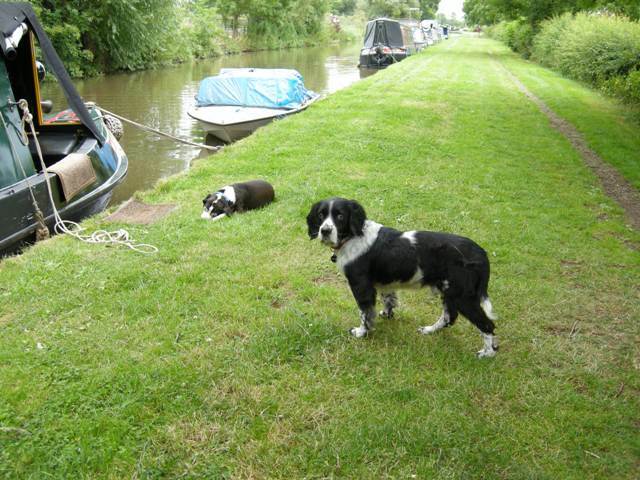 Here are Pip and Jet in the sunshine at our favourite mooring at Shardlow July this year. 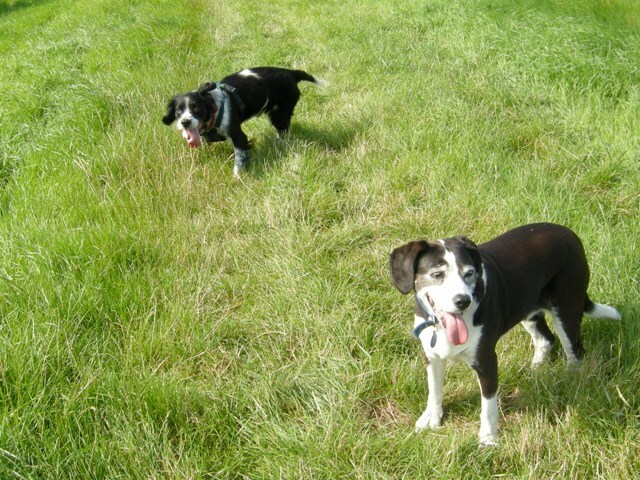 Paul and I are pretty shattered with all the sadness, losing two wonderful dogs so close together. My little Pip especially, who with me, Paul and my three boys shared so many joyful times. Pip came to us as a rescue at 8 months old, we were her 5th home. She was suffering from chronic seperation anxiety and had destroyed two kitchens and the inside of a BMW with previous owners. It took us 2 years of patient work to win her trust and get her clean in the house. 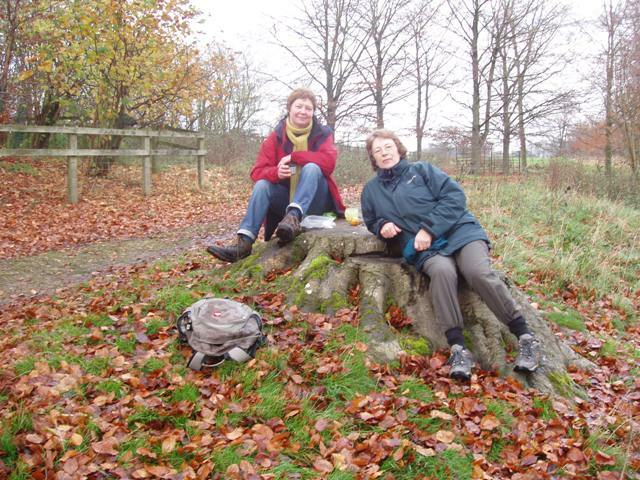 But we had such fun with her and she was such a faithful little friend – though full of tricks too – have to get used to not hiding the rubbish bin when we go out – as Pip’s not there to raid it! And who will get me up at 6am to share the early morning walks along the river and through the woods with me? It will be so strange with no dogs around, the first time in nearly 20 years. When we say goodbye part of me will go too. Pip has gone to chase bunnies in another life. Sad news, but she had had enough, so we called John the vet to end it all for her on Saturday at about 12.30. She went very peacefully and really was not aware of much. After several small strokes over the past week she was just sleeping like a rag doll and showing no signs of any recovery. We headed for the pub to raise our glasses, but not with great enthusiasm. Poor Jet couldn’t even make it to join us, his range is about 55ft – even for a chocolate biscuit. You are currently browsing the Daniel Oakley blog archives for November, 2008.